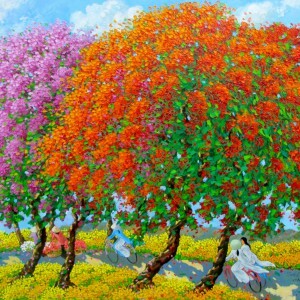 Blossoming trees hypnotize us, especially such powerful ones like the flamboyant trees or Royal Poinciana. 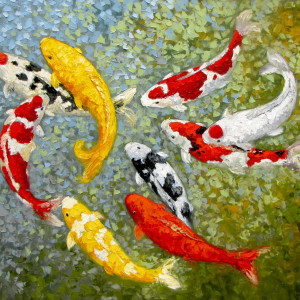 It is easy to recognize them by their unusual bright colors. 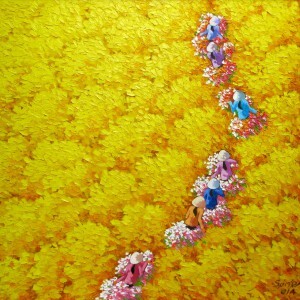 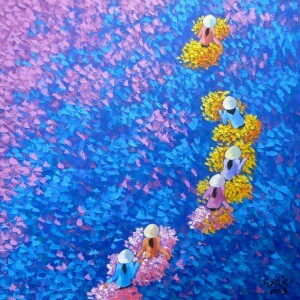 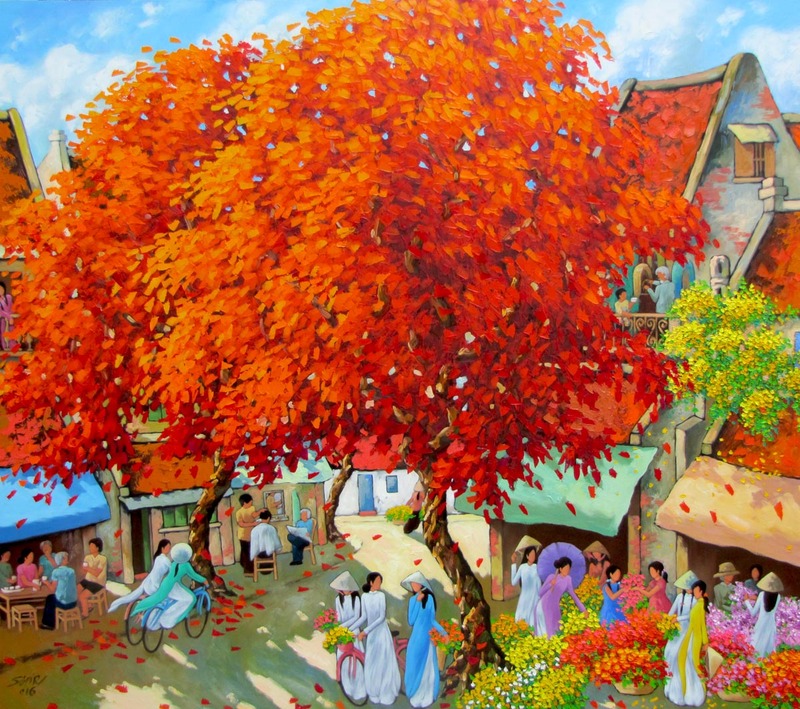 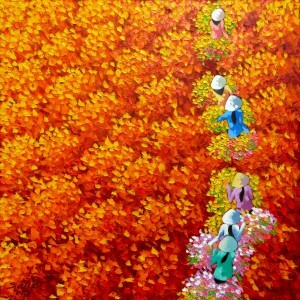 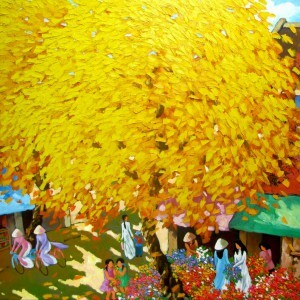 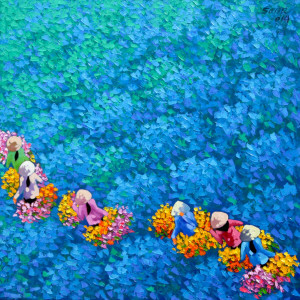 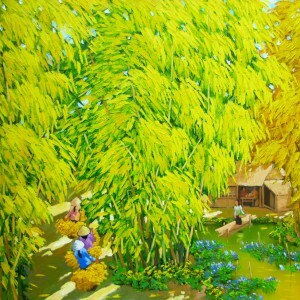 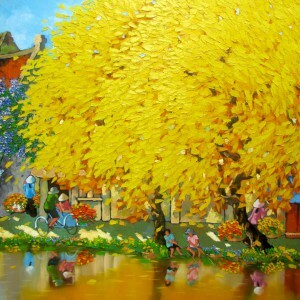 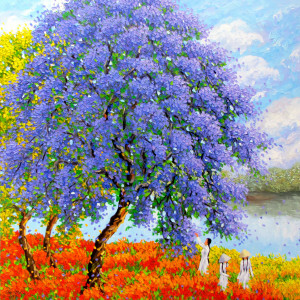 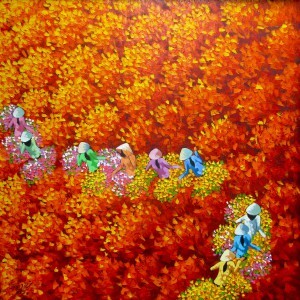 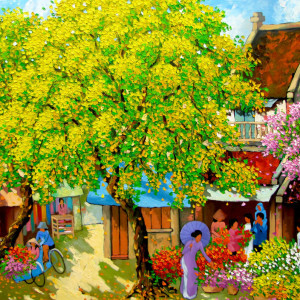 Contemporary Asian artist Duong Ngoc Son has made these trees the central part of this canvas, giving the whole piece a cheerful tone. 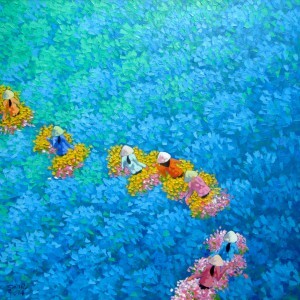 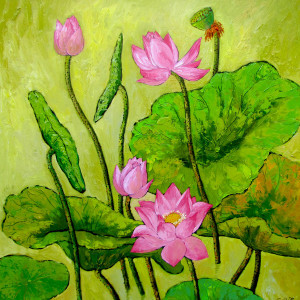 This is a lovely piece of contemporary Asian artwork.